A questions commonly asked by volunteers is how much spending money they need to take with them. It’s important to remember that on a day to day basis local food will be provided for you for breakfast, lunch and dinner, as will water. Therefore unless you’re planning on buying additional food and/or drinks then during the week you’re unlikely to be spending much money. India suits all budgets! There is some guidance information below about costs for different things, the cost will depend on what you’re looking for and your ability to negotiate! 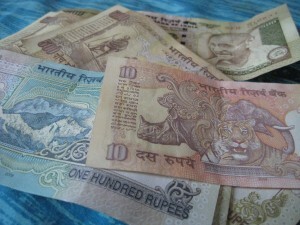 At the time of writing this article the exchange rate was £1 = 100 rupees. 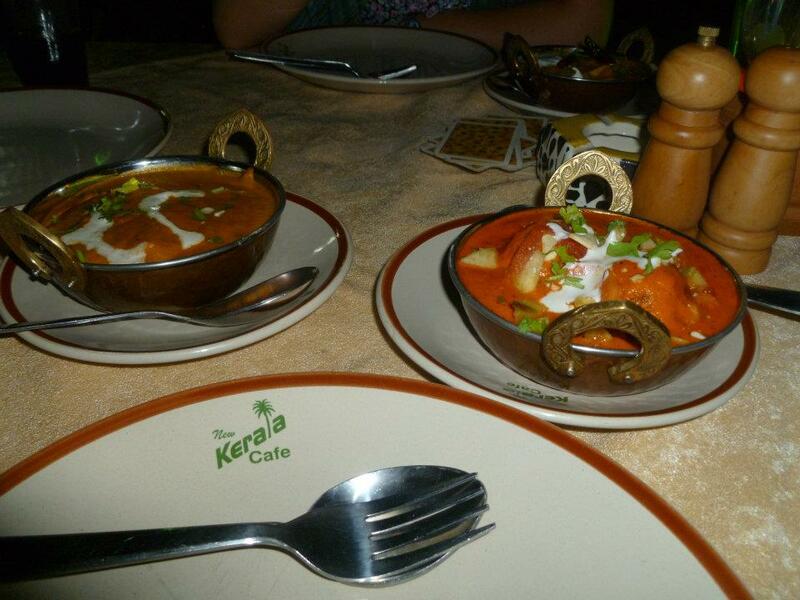 There is accommodation to suit everyone in India from basic rooms with fans to fancy AC rooms over looking the sea. 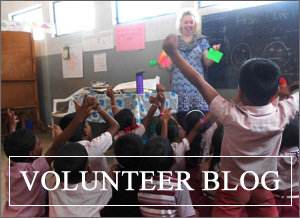 Normally the most expensive activity volunteers will do whilst in India is stay on a house boat which starts from £20 per night per person. Other than this accommodation in the tourist villages surrounding the projects starts at 500 rupees a night in low season for a double room with a fan (if you’re sharing with friends then you can save money), this is about £5. The price depends on the quality of the accommodation, the time of the year, proximity to the beach and whether it is an AC or fan room, for example hotels in Kovalam go up to 14,000 rupees per night. In most tourist towns there is a good mixture of cheaper and more expensive accommodation. New accommodation is popping up all the time in India so don’t rely on the guidebooks as a reliable source of the accommodation available, accommodation in cities is likely to be more expensive. As with travelling in all countries, local food is cheaper than western food. You can pick up food in local cafes for under 50 rupees, if you’re going to more touristy places then you should expect to pay more (100-150 rupees). If you’re vegetarian then you’re likely to spend less, a lot of fish is consumed in the coastal villages and you can expect to pay quite a bit more for this. If you’re wanting to buy Western Food like chocolate or crisps then expect to pay over the odds for these, they are fairly easy to get hold of in tourist resorts (although be aware chocolate melts very quickly!). There are places in big cities like McDonalds, Dominoes and KFC, however expect to pay a lot more for this type of food. If you’re a coffee fanatic there is a chain called Cafe Coffee Day where you can get cappacinos, lattes etc but they cost between 100-300 rupees. It is fairly cheap to travel around by local transport (trains, buses etc). A train from Trivandrum to Varkala (nearby tourist town – one hour trip) costs between 21 and 140 rupees depending on the class of the carriage. If you’re planning on doing a lot of travelling by train, especially long distance, make sure you book your trains in advance and read up about how to book them – it’s a fairly complicated process (for short distances like Varkala to Trivandrum there is no need to book)! Public buses are very cheap (but can be hard to negotiate as signs are very rarely in English), there will be buses that run from most projects into Trivandrum (sometimes you may need to change). You will also be able to pick up an auto rickshaw or tuk tuk very easily (but remember to negotiate the price)… these will be a lot more expensive than jumping on the bus. A trip from Kovalam into Trivandrum for example should cost you around 400 rupees, compared to about 20 on the bus. It is very cheap to make calls and texts to other Indian numbers (normally 1 rupee per text and per minute of a call), just make sure that you take an unlocked mobile phone out with you. You also need to have credit for people to be able to ring you – so make sure your phone is topped up at all times. 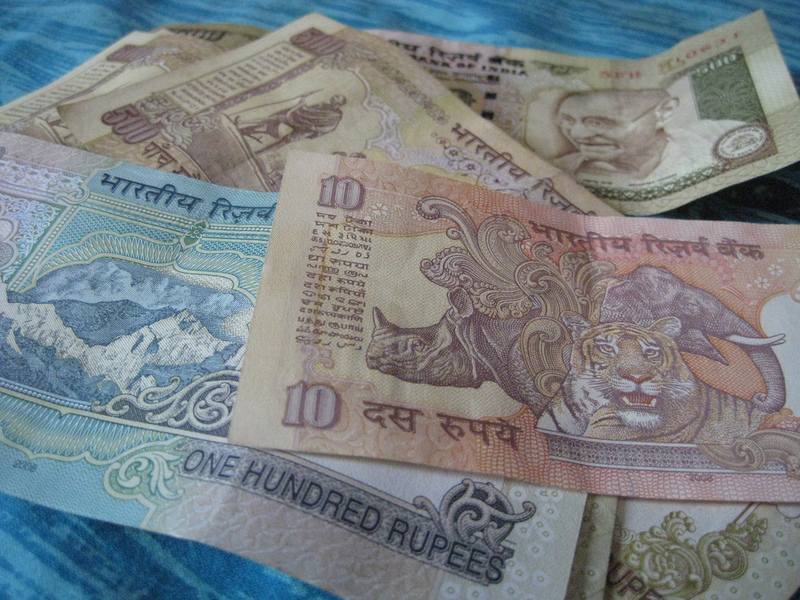 To text internationally it normally costs around 10 rupees and similar to make calls per minute. Internet is also fairly cheap, and there are normally computer centres in most villages who will charge between 20 and 50 rupees an hour (this will be higher in tourist villages). Most volunteers who are going for 4-6 weeks, who are not travelling before or after and who are prepared to stay in local accommodation and eat local food take between £250 and £300. This enables volunteers to visit places most weekends (we encourage volunteers to spend at least one with the host family), to buy local dress when they’re out there (to wear in school) and spending money for souvenirs. 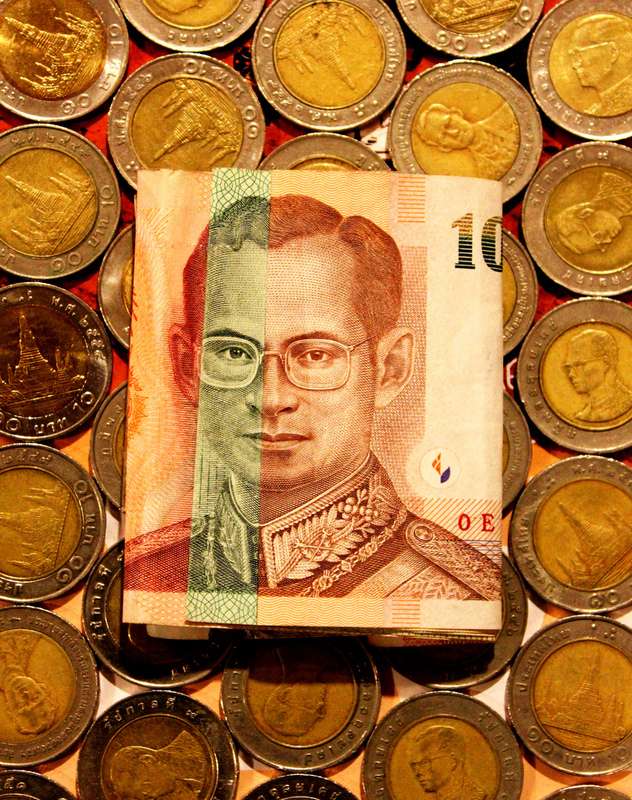 Northern Thailand (where VESL’s projects are) is notably cheaper than the south and Bangkok, if you’re planning on spending time in either of these places then be sure to check out guidebooks and websites about spending money for advice. 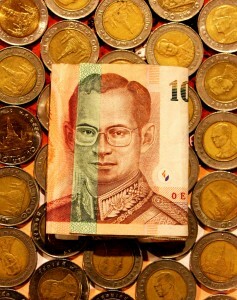 The exchange rate when writing this article was £1 to 52 baht. Accommodation will vary massively, most volunteers spend their weekends in Chiang Rai, with an occasional trip to Chiang Mai. Volunteers tend to travel from these areas to see other parts of the region. Accommodation in Chiang Rai starts at 100 baht per night for very basic rooms about 20 minutes walk from the city centre. There is also hostel style accommodation with rooms for 4-8 people just outside of the city centre. There is more convenient basic accommodation located nearer to the city centre for around 200 – 800 baht per night. Prices will vary depending on whether it is high season, whether it is a fan or AC room and the quality of the accommodation. Accommodation in Chiang Mai will be more expensive than Chiang Rai as it is a tourist destination (the quality of the accommodation is also not as good). There are also more expensive hotels on the outside of the city centre on the river that can cost up to £100 per night. Food prices will vary hugely depending on whether or not you’re eating at a market or in a restaurant. Most volunteers eat in the night market in Chiang Rai at weekends where there is a huge selection of food, here you will spend between 30 and 80 baht on a meal. If you’re eating in a restaurant expect to pay slightly more. 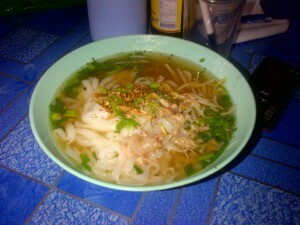 There are a huge variety of restaurants in Chiang Rai, if you’re eating at one that serves Western food (e.g. the pizza house or ice cream parlour) expect to pay similar prices to in the UK, if not more. Coffee is very popular in Thailand but it is very expensive compared to other food and drinks, expect to pay around a couple of pounds for coffee in cafes. Travel around Chiang Rai and Phayao by bus is relatively cheap, there is a company called the Green Bus Company that runs coach services on most major routes, a bus from Chiang Rai to Chiang Mai (three hours) costs around 200 baht one way (AC bus). There are also public buses that you can use to get around which are cheaper but will have more stops (and are more difficult to navigate). There are taxis in the city centre but there aren’t a lot, if you want to get a tuk tuk there are normally some around the night market and it shouldn’t cost you more than 40 baht to get anywhere in town. We encourage volunteers to spend at least one weekend with their host family whilst in Thailand, also it is common for volunteers to be asked to run an English camp for students and/or teachers on a Saturday or Sunday of one weekend. You can buy a SIM in country (about 50-70 baht), just remember to take an unlocked phone otherwise a new phone will set you back about 900 baht. It is very expensive to use a Thai SIM to contact the UK, but a lot of schools will have wifi that you can use on a phone or tablet to contact home on and off (although please be careful not to abuse this). On top of this you can easily get internet at the weekends in Chiang Rai for around 30 baht for an hour. This will depend on how much you’re planning on seeing and doing when you’re out there, if you want to see a lot tourist attractions that aren’t temples (especially in Chiang Mai) then you will need to be prepared to take more money. For example if you want to go to Tiger Temple or Kingdom this costs 400-600 baht. If you want to go trekking then this can cost between 2500 and 4300 baht. Other activities like elephant treks, organised tours and ostrich riding all cost in excess of 500 baht. Volunteers going for 4-6 weeks tend to take between £250 and £500 overseas with them (note that volunteers who want to travel afterwards or before take significantly more as it’s a lot more expensive in the south and in Bangkok).